Tampa's Mayor Bob Buckhorn calls Julian B. Lane Park the 'jewel in the crown' of the city's entire park system in the Tampa Bay Times. W designed the many park buildings including the public boathouse and collaborated with Civitas on the park. 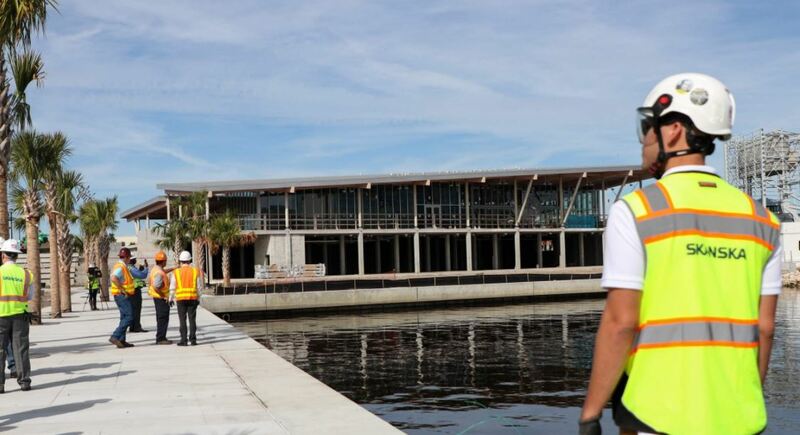 The 23 acre park will “be a gift to the city unlike anything city government has ever done,” Buckhorn told reporters during a tour of the waterfront, which is still under construction and will open on May 12. The $35.5 million project will transform the waterfront area and the entire west bank of the river thanks to the investment in public space.